Learn to draw people, techniques that guarantee success! 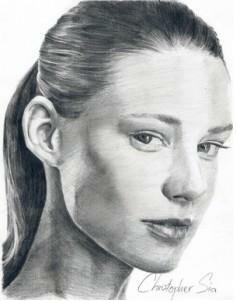 Learn to draw people, realistic faces with pencils. Learning this skill will make your art skyrocket! Think it's hard to learn to draw people or draw faces? Check out the picture to the right. Looks like a black and white photograph, doesn't it! Well, it's not. It's an actual drawing done by a Master Artist. Christopher Sia is the artist, and he has come a long way in learning how to produce works such as this. 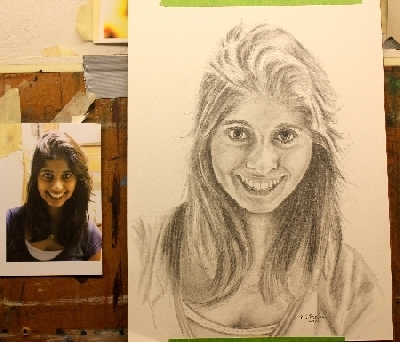 If you've been around my website, you'll know that I don't recommend folks to begin portrait painting right away. Not until you have mastered some key elements such as tone, color and paint manipulation. Otherwise, you lose interest and enthusiasm quickly. I believe I've found that instruction. There are so many things within Christopher's course that resonates with me, both on an artistic level, and a teaching level. This course melds so well with some of the ideas I talk about on my website, it's no wonder I have found the course so appealing. Make no mistake, you will learn to draw realistic faces using Christophers Home Study course on realistic pencil portraits! So, you've tried to do a few drawings of family members, or friends. 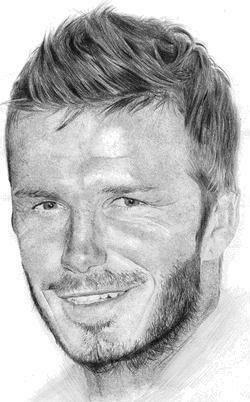 You may have drawn someone you are a fan of, a movie star or other celebrity. Don't laugh, my first drawings did too! This is due to years of allowing our analytical left side of the brain take control of your pencil. The left brain is analytical, logical, and enjoys simplifying things with symbols. It's the accountant side, loves math too! One of the keys in how to learn to draw people, (or any realistic drawing) is to change our minds thinking of what we believe we see, to what we actually see. But you've heard that from me already in the drawing sections of the site. But what I have lacking, Christopher has covered! Christopher gives you a fantastic, step by step exercise that will exercise this ability. And with it, you will learn to draw people with ease. He also shows you things that as an artist, I would completely have missed in explaining simply because these things are second nature to me, but to the beginner, may not even be aware that it is necessary, like; how to properly sharpen your pencil! How to shade, how to erase, what kind of eraser, just to name a few. Now for some of that proof in the pudding as they say around here in Virginia! Check out these pictures of a recent commissioned work just completed using Cris's methods! The Family were pretty happy with the results, and so was the boyfriend! Glad I could oblige them in this piece, using only pencils of various graphite hardness, a kneaded erasure and Cris's guidance to keep focused. And here is a closeup so you can see some of the details included in the work. 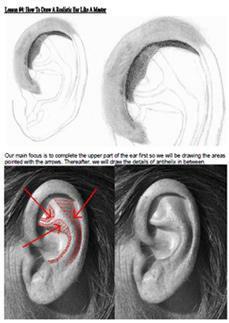 This shows the level of detail you will learn in the course, and how you too can create a masterpiece! Step by Step through 12 weeks of exercises on how to learn to draw people! But this is just part of the course (actually one of the bonus's). He breaks the human face down into 5 major lessons on how to draw the eye, the nose, the mouth and teeth, the ear, and a real tough one for me, HAIR! Learn to draw people with Christopher Sia. Click Here! Now the main lessons to learn to draw people with realistic pencil portraits, is having over 200 pages of valuable information. It gives a process of what to look out for, pay attention too, and understand. 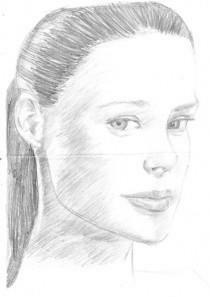 You become fully taught on what is expected within a pencil portrait. Over 600 illustrations SHOW YOU how to draw people! Not just talking and explaining. See below for just some of the examples within the lessons of the detail of instruction. These drawing lessons walk you through the steps of learning how to notice the subtle gradation of tone, highlight, shadow, and the tiniest of details that are always present in the human face. You will know what to look for and how to draw it when you see it! 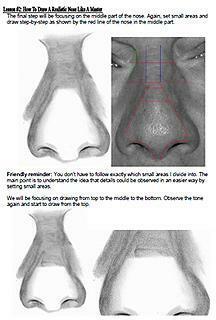 Remember, the human face is the most recognizable things we humans have! 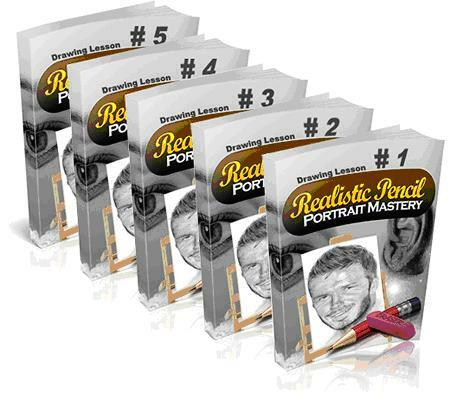 Now besides the 12 weeks worth of exercises, and the 5 Main Lesson Plans, there are a number of bonus's that he includes that improves your ability to learn to draw people! He gives us a mind map lesson plan for each of the 5 main lessons. This really keeps you on track! He gives us 100 High Resolution Reference Pictures featuring 70 Faces (of people you and your friends and family will know) and 30 facial features to practice with. 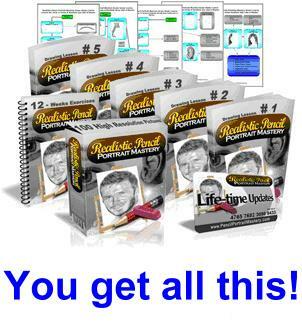 Life-Time Updates For Realistic Pencil Portrait Mastery, so when an update of the course comes down, you can get your copy free of charge! Secret Of Pencil Drawing From Photographs - a 30-page lesson that teaches you how to see and draw different tonal areas to create stronger contrast in your drawings – a key ingredient to making your pencil portraits appear to "pop" right off the page, and look better than what the photograph can produce. 30 High Resolution Pictures Plus, Lifetime Unlimited Personal Editing Pictures- that's 30 more photos for you to practice from, plus the opportunity to let Christopher edit YOUR photo's so that you can use them as drawing references. Lifetime Unlimited 1 on 1 Online Support Personal Review and Critique. This is such a valuable feature! Over the internet, Christopher will provide valuable feedback on your artwork as much as you need for as long as you want! Why do I say that? It shows that his heart is in truly teaching you how to master this skill. Yes, he charges a fee for that service, but his time is valuable, and so is yours. This alone is worth $100's to $1000's for coaching in art tutors, but having a lifetime of coaching available is like the commercial says, "priceless"
It gives Christopher great joy to see you show him your first drawing (done in the first exercise), and your Masterpiece Drawing at the end. You'll be so surprised at your own results too! 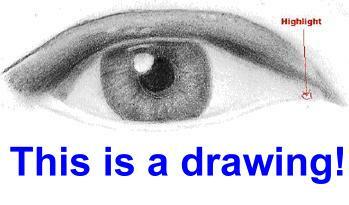 Take the course and really learn to draw people the right way.. Learn a skill that you can carry with you anywhere you go. You won't need a lot of expensive art supplies. You'll be doing something that will last a lifetime, or more. The course is guaranteed too! If after 60 days, if it's a bum rap for you, you can get your money back! Christophers, and Clickbanks return policy is the best in the industry. They make it easy for you. Lazy Learners, wanting to be spoon fed, but not willing to grasp up the spoon on your own! You gotta do the exercises to train your mind to work in this realm. It's something I preach all through my website, it's no different here! 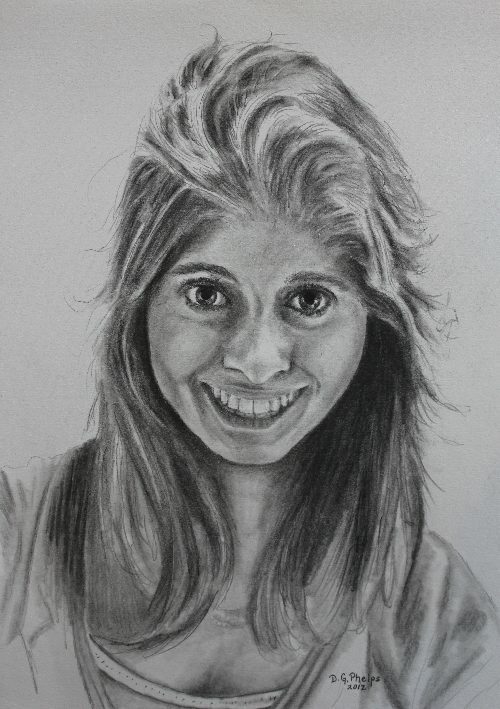 Those that want to draw the whole human body, nope, this is PORTRAITS only. Those that like fancy gadgets, (like me, the electric erasures, the mini erasing shields, proportional dividers, blending stumps, gridded rulers, all those extra drawing tools we artists like cluttering up a desk drawers). He doesn't use many, or teach on their use. Please realize also, that if you purchase his product from this website, I will get a small commission. It's Christopher's way of thanking me for sending him enthusiast drawing students like yourself, and a very valid way to keep this site afloat!